Businesses across Birmingham flocked to the Council House yesterday to meet the principal contractors working on the city centre's biggest regeneration projects. FinditinBirmingham invited local businesses to a 'meet the buyer' breakfast meeting, giving them to chance to talk one-to-one with key buyers from Bouygues UK, BAM Construction, Wates Construction, Interserve and Colmore Tang. The event on Thursday 12 July at Council House, Victoria Square, gave visiting businesses the opportunity to hear about the supply packages available on the huge infrastructure and construction developments happening in and around the city, and information about Birmingham City Council's Growth Plan 2031. The plan is to further grow the city centre, expand the urban areas and deliver key infrastructure and environmental improvements. 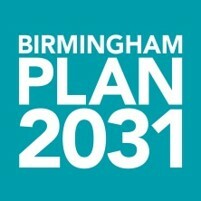 This aligns itself with the council's aim to see local firms benefit from all the work planned for Birmingham up to 2031 including 89,000 new homes and the Commonwealth Games in 2022. Top of the agenda is placing procurement with local businesses, meaning the economic benefit will produce 100,000 new jobs and key growth in different sectors and five areas of transformation. Paradise, Arena Central, 3 Snowhill, Axis Building, Connaught Square and Centenary Square all led the discussions, creating the perfect platform for the local supply chain to meet buyers from the principal contractors working on the projects. Maureen Griffiths, Birmingham City Council said: "With Birmingham's landscape changing before our eyes with key regeneration projects, infrastructure and construction developments, we wanted to bring businesses together to find out what opportunities are out there for them. "The next 10 years show even greater promise with the creation of brand new public realms, commercial space, residential quarters and, of course, the anticipated high-speed railway network, HS2, so it is vital that all partners work together to accelerate developments and produce exciting opportunities for the local supply chain." The Commonwealth Games 2022 sets to bring major infrastructure proposals and Perry Barr will be at the heart of the proposals with an exciting legacy for Alexander Stadium and the Athletes Village. A supplier engagement event is currently in the planning stages and will be advertised shortly on FinditinBIrmingham.